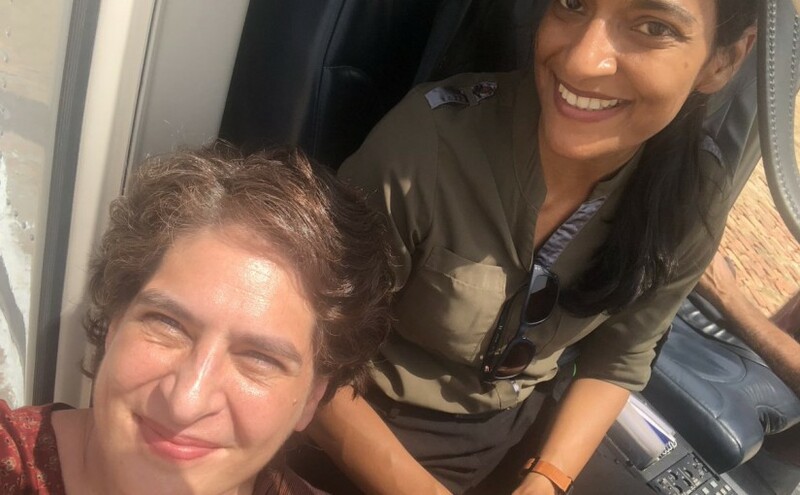 Priyanka Gandhi from Congress Party has tweeted about her selfie with the woman pilot, met her while flying in a chopper. She was feeling proud about the moment with a lady pilot companion. India has brought women empowerment irrespective of gender and capacity that has enable women to join different departments moving away from the monotonous fields of jobs that were limited to engineering, office jobs or medical. Moved into career fields to armed forces, pilots which were once restricted to men.